“Gluten is a hot topic in the health world but it is difficult to know exactly all of the issues and what to do about them. Lisa offers in her book the soundest and broadest advice that I have found and I recommend this book to everyone. The book covers all of the issues that might seem obvious (but are not so) yet exceeds the expected information by offering both simple practical advice for changing your life to accommodate eliminating gluten from your diet (and life), such as transforming your kitchen and even great advice for those eating out..such as ordering last when you need the wait staff’s attention to your special need ordering. 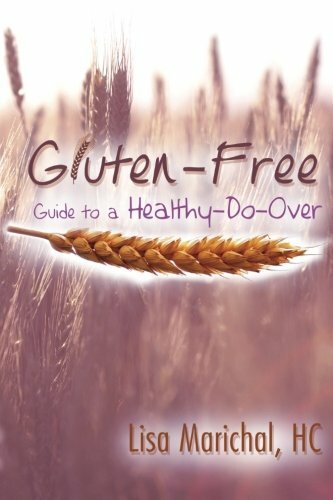 Lisa’s gluten free guide really shows the author’s knowledge of the subject. The book is an easy and pleasurable read and the author displays a very engaging and enthusiastic voice on the subject of gluten. I liked how she challenges the reader with the following question — “When did our health become an inconvenience?” A great rhetorical question and reminder that our health should never be regarded in this way. Lisa does an excellent job of presenting a variety of expert viewpoints from the medical and non-medical community on how gluten can negatively impact your body. It’s also very nicely formatted and has a variety of pertinent quotes from gluten and celiac disease experts. She also discusses how gluten is found not just in many of our favorite foods, but also in many of the products we use. I was surprised by this, especially it’s use in cosmetics.